Some customer’s contact us direct, others are introduced to our bike racks through their network of friends. 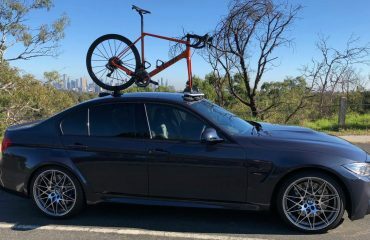 In Glen’s case, his journey seeking a BMW M5 Bike Rack commenced via his network. Glen is an avid Mountain Bike enthusiast. 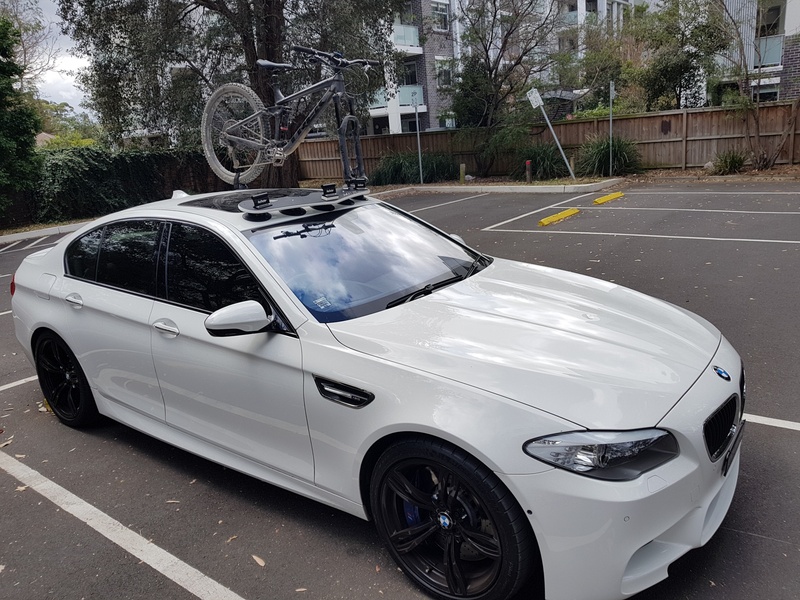 As a result, the BMW M5 Bike Rack had to accommodate bikes with 15 mm x 110 mm front wheels. Having worked out what he needed Glen placed his order on our website. His BMW M5 also has a sunroof. Consequently, Glen chose to install the SeaSucker Bomber 3-Bike Rack Main Board in front of the sunroof. 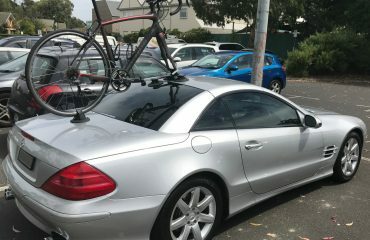 This is an ideal location as it maintains full use of the sunroof with the bike rack installed. Several weeks later Glen sent us an email and his feedback as pre below. I am using the Bomber on my M5. I carry a 2018 Trek Remedy 8 and 2018 Santa Cruz Bronson CC which is probably 28kg together. Admittedly I have tested it around corners and a number of full 600hp accelerations and the pump buttons haven’t even budged LOL. Brilliant! 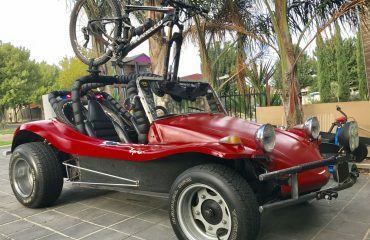 I bought the bomber because I will be mounting 2 x eMTB on this during Summer which will be around 45kg total weight. Thanks for your feedback, Glen. The SeaSucker Bomber 3-Bike Rack will handle 2 x eMTBas the Bomber is rated to take up to 60 kg of total weight. 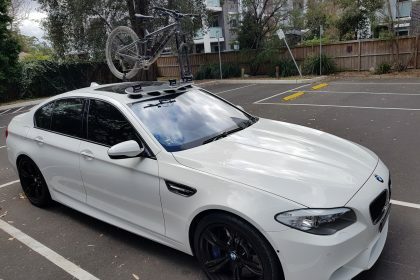 Looking for a bike rack for your BMW M5? Buy the SeaSucker Bomber available through our online store. Buy the Seasucker Boost Spacer through our online store.